For most who carry a Legal Permanent Residency card, the general steps to change legal status from a Permanent Resident to a Citizen involve walking through the 10 steps of Naturalization which are listed below. Para leer esta nota en Español, haga clic aquí. Before the naturalization process begins, the applicant must ensure that he or she is not already a U.S. Citizen. This may seem odd, but numerous individuals unknowingly had U.S. Citizenship and were put through deportation proceedings and/or other immigration problems. 1) Were you born in the United States or a territory of the U.S? 2) Was at least one of your parents a U.S. Citizen when you were born? If yes, refer to form N-600, (Application for Certificate of Citizenship) or Form N-600K, (Application for Citizenship and Issuance of Certificate). If you have a U.S citizen parent who is a citizen either by birth or naturalization, you may already be a citizen or may be able to apply for a Certificate of Citizenship based on their citizenship. If you recently applied for a Legal Permanent Residency card, it is advised to verify legal status. USCIS provides a Case Status Search on their website where an applicant can check the status with the receipt number of the Naturalization Application. Now that you have asked yourself these questions, let us dive into the rest of the 10 steps of Naturalization. Be a permanent resident (also known as a “Green Card”) for at least 5 years. Be at least 18 years old at the time you file Form N-400, Application for Naturalization. Demonstrate continuous residence in the United States for at least 5 years immediately before the date you file Form N-400. Show that you have been physically present in the United States for at least 30 months out of the 5 years immediately before the date you file Form N-400. Show that you have lived for at least 3 months in the state or USCIS district where you apply. Students may apply for naturalization either where they go to school or where their family lives (if they are still financially dependent on their parents). If you would like to learn more about citizenship eligibility, click here. If living outside of the U.S, obtain 2 passport photos. Upon submission, USCIS shall send a receipt which you will need in order to check the status on the application. To view the status of applications, the USCIS website provides access for a Case Status Search. Customer service also provides assistance at 1-800-375-5282 or 1-800-767-1833 (for hearing impaired). If applicable, USCIS will provide applicants with details. In the biometrics appointment, USCIS collects fingerprints, photos, and signatures for electronic capture to uniquely identify people. Accepted: USCIS will approve a N-400 application when documents prove eligibility. Continued: USCIS will continue an application if more documentation is needed. Denied: USCIS will deny an application if there are missing documents, or if an applicant has failed the civic or english exam. When USCIS approves the Form N-400 from Step 7, the applicant can take part in the naturalization ceremony the same day of the interview. In case of no scheduled ceremony the day of an interview, USCIS will provide the applicant with a date and time for another ceremony. In the process leading up to the Oath of Allegiance Ceremony, an oficial from USCIS will review answers from the form N-445 (Notice of Naturalization Oath Ceremony), turn in the Permanent Residency card, and prompt applicant to take part in the Oath of Allegiance Ceremony. After the applicant takes part in the Oath, the applicant becomes a citizen. An applicant in the Naturalization process becomes a citizen once the Oath of Allegiance is recited. In a judicial ceremony, the court administers the Oath of Allegiance. In an administrative ceremony, USCIS administers the Oath of Allegiance. It is advised that all applicants review certificates prior to departure from the site. 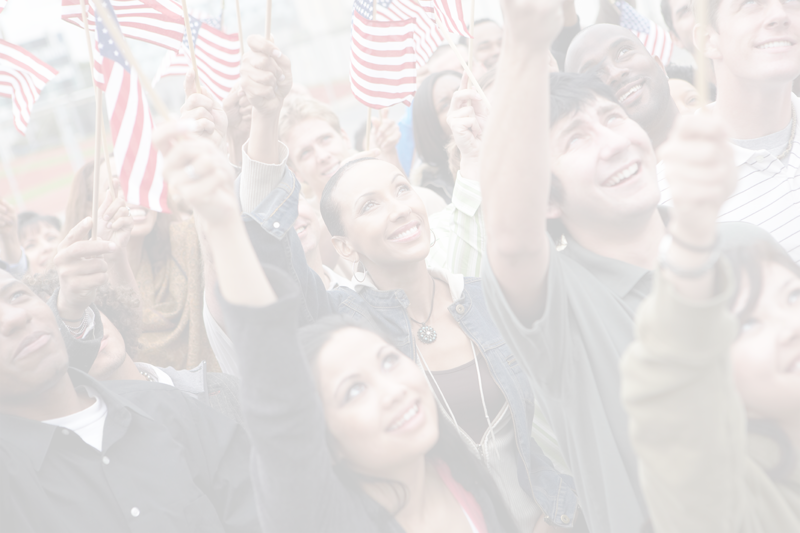 Step 10: Understand and fulfill responsibilities as a citizen of the United States. Can I apply for a permanent residence through marriage to a U.S. citizen? Can an Undocumented Immigrant Get a Green Card Through Marriage to US Citizen or Resident? Vlog: "Can I file a pardon for my wife? She has 1 year remaining of A 5 year bar she was given." Michael Brooks-Jimenez, PC, is a law firm that offers criminal, immigration, workers compensation, and personal injury services. What Steps Should You Take If You Have a Workers’ Compensation Case? Personal Injury Attorney FAQs: What Do You Need to Know? Get immigration related news alerts on your cell phone and your inbox. Copyright of Michael Brooks-Jimenez, P.C. © 2018. All rights reserved. The materials available at this web site are for informational purposes only and not for the purpose of providing legal advice.